Looking for great food for carryout in Williamsburg or Lightfoot? 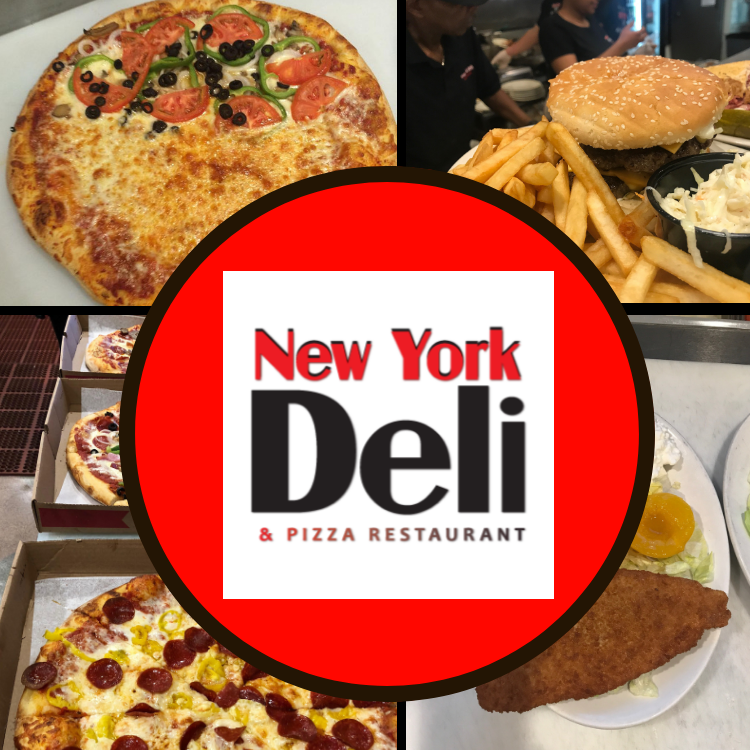 The New York Deli and Pizza restaurant is the perfect carryout or takeout option. A simple call gets fresh made to order food ready for pickup for anything you may have going on. We are located near a number of destination places right in Williamsburg, Va and Lightfoot. We are right on the main drag only minutes from The Prime Outlets and The Pottery. And if you do come across town from Busch Gardens Or Colonial Williamsburg you can call ahead and pick up hot fresh food when you get here. Just having carryout is not enough. There are lots of healthy processed food options which can give you lots of food, but not much nutrition. Our restaurant focuses on nutritious fresh food. We focus on carryout options that give you lots of variety to fit the various tastes and moods you might have. We also focus on making everything to order. Nothing is as delicious as fresh food. We also offer family favorites as well, so the whole family can be happy with your carryout or takeout order. One size does not fit all. When you call for carryout options you want variety. We offer lots of different choices to fit the tastes of even the pickiest eaters. Our menu offers subs, sandwiches, burgers, pizza, and more. These are designed to help you pick up a meal everyone will actually eat. Quality is the key. Our made to order food is designed to be fresh and delicious. Compare this with chains and fast food establishments where the goal is quantity…but no guarantee of quality food. What is the point of ordering food if your family won’t eat it. We have the right options to make sure everyone gets something you like. From pizza to Philly cheesesteaks you can please the entire family. Don’t take our word for it. Check out our Google reviews and Trip Advisor reviews. You will see the actual positive reviews of how we deliver on what we promise. Or pop in and take a look at us at lunch. We are packed with lots of people who know we have incredible fresh food. Check out our menu. We can provide carryout for tonight’s dinner or deli platters for your Christmas party!